Our latest issue of Leaf Litter, which focuses on peatlands, got me thinking about the impact of using products like peat moss to restore ecosystems. Working in the ecological restoration and green infrastructure (GI) industries, it’s easy to fall into the trap of thinking that the end justifies the means. In other words, using products and processes which may have harmful and unintended ecological impacts during their production and use—impacts that may often be overlooked in the name of restoring a freshwater wetland, a temperate rainforest, or a tallgrass prairie. Herbicides, phosphorous, lime, geotextiles, river rock, and fossil fuels are just some of the products used in the restoration industry that carry an ecological footprint that is often ignored. Extracting, sourcing, processing, transporting, and applying these products contributes to the degradation of ecosystems outside our project areas. As we wrestle to find more environmentally sustainable products and processes to support ecological restoration and GI initiatives, banning the use of Sphagnum moss, or peat moss, as a soil amendment should be a no-brainer. Unfortunately, peat moss is being used in the growing of nursery stock and specified in ecological restoration and GI projects. For many reasons, we should discontinue and permanently ban the use of peat moss as a soil amendment in all of our projects. 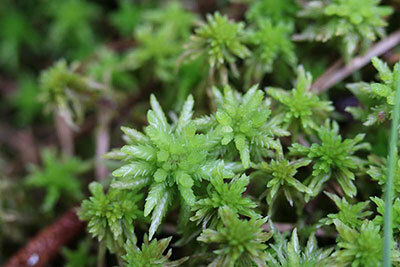 In North America, the bulk of peat moss sold in the horticultural industry comes from Canadian Sphagnum moss. This peat, the product of undecomposed remains of Sphagnum, develops in a peatland. In our most recent issue of Leaf Litter, renowned bryologist Dale Vitt defines peatlands as “ecosystems in which the production of biomass by photosynthesis is greater than the decomposition of that biomass by decomposers.” Given that peat decomposes at a rate of about one millimeter per year, peatlands take over 400 years to become established. Many scientists consider peatlands as important and fragile as rainforests. Peatlands harbor a variety of flora and fauna, including untold numbers of highly specialized and endangered native plants. In addition, they hold clues to our past. Due to their highly anaerobic conditions, decay happens very slowly, which means that peat bogs provide a unique glimpse into our past climate, vegetation and human activity. Not only that, peatlands offer an array of ecosystem services, including water filtration, flood attenuation, and most importantly, carbon sequestration. Undoubtedly, they are vitally important to our ecological health and heritage. Despite their importance, peatlands are commercially mined to provide peat moss for the horticulture industry. 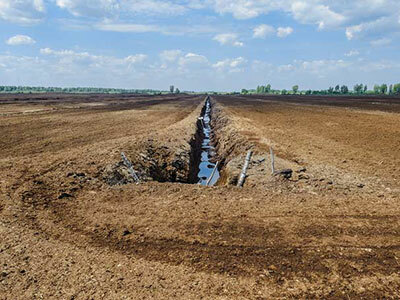 The process involves digging ditches to drain the bogs, allowing the top, living layers to dry out, mechanically harvesting the peat with vacuum equipment, and then processing, screening and packaging it for the horticulture industry. This process destroys hundreds, if not thousands of years of peatland formation, and all of its associated biological and ecological functions, not to mention their intrinsic value. Peat moss is technically classified as a renewable resource. According to peatland ecologist and restoration expert Dr. Line Rochefort, who we featured in the peatland issue of Leaf Litter, degraded peatlands can, when properly restored, return to being carbon sinks that provide some ecological function. But it will take hundreds, if not thousands of years, for peat to fully form. According to the USGS 2013 Minerals Yearbook; Peat, the United States was a significant producer and consumer of peat for horticultural and industrial purposes. Peat produced in the conterminous United States was 465,000 metric tons (t). Another 886,000 metric tons were imported from Canada. Canadian regulations require that bogs be returned to functioning wetlands once extraction is complete, and to its credit, the Canadian peat industry recognized over 25 years ago that in order for peat harvesting to be sustainable, it needed to invest in research on how to conserve and restore peatlands. While there have been many advances and successes in peatland restoration, it may take many decades before we can truly claim success. One way to end the mining and exploitation of peatlands is to simply stop using peat, and to discourage others in the horticultural industry from doing so. At Biohabitats, we took that stand 20 years ago. It makes little sense to be in the business of restoring landscapes and improving water quality while at the same time specifying material that when extracted, destroys wetlands and their ability to filter water and support biodiversity. While we have banned the use of peat moss as a soil amendment in all of our projects, unfortunately many commercial plant nurseries still use peat in the growing and production of plant material. We are now developing specifications in our ecological restoration and GI projects to encourage the procurement of plants produced without peat moss, and we are planning to have conversations with our plant suppliers to discourage them from using peat moss. Many others have taken up the cause to boycott peat and even areas in Ireland have already banned the harvesting of peat. As climate change begins to impact peatlands, there is no reason to add additional pressure on these unique, fragile, and remarkable landscapes. There are many alternatives to peat as a growing medium, including compost, leaf mold or coir (coconut fiber), which may work better then peat in some circumstances. While coir may be a good substitute, it is important to explore the life-cycle impacts of this product as well. Locally sourced and processed compost or leaf mold is the best alternative. 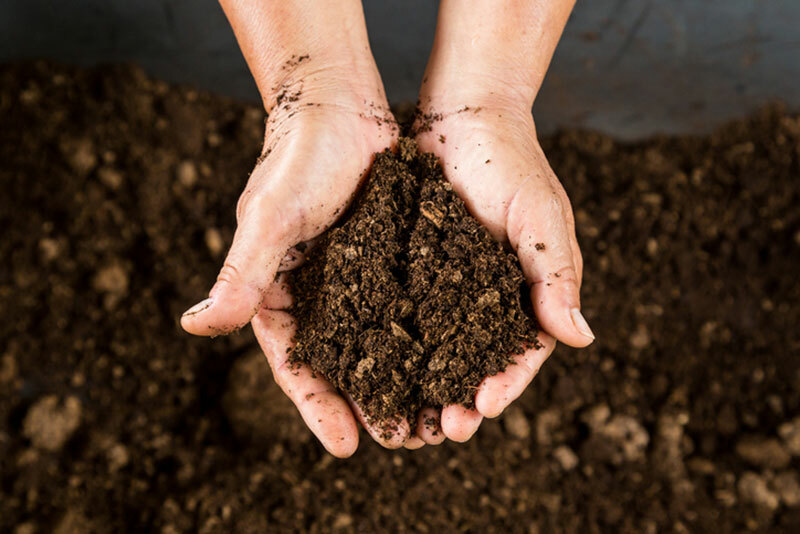 Reducing and recycling waste streams, supporting local businesses, and advancing local restoration and GI initiatives are but some of the advantages of substituting compost or leaf mold for peat moss. As we learn more about how to address the ecological impacts associated with the products and processes we use to implement ecological restoration and GI projects, let’s start with banning the use of peat moss in all of our work, and advocating for an industry-wide boycott.